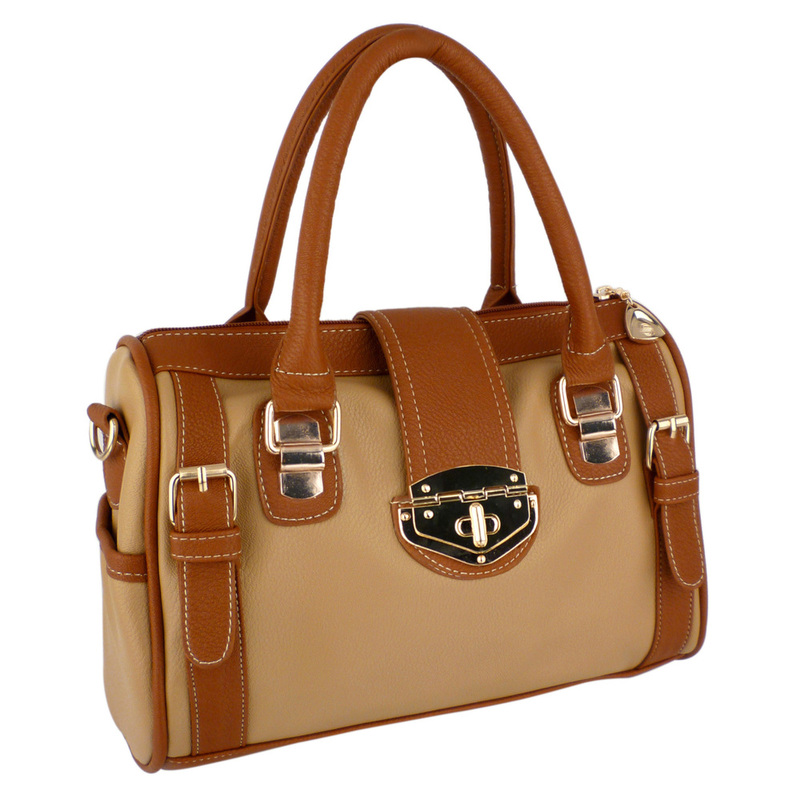 A subtly chic toffee-colored shoulder handbag with warm milk chocolate-colored trimming. 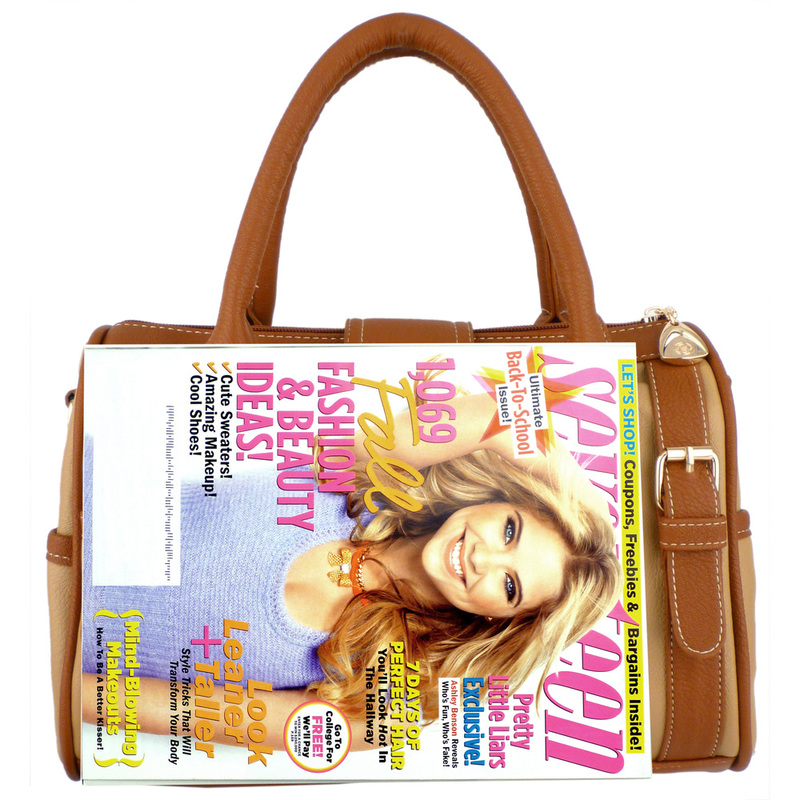 A medium satchel purse with 1 interior zippered pouch and 2 interior pocket organizers to keep your valuables easy to find. Approximate Dimensions: Exterior - 12" L X 8.5" H X 4.5" W; Interior - 11.5" L X 7.5" H X 3.5" D; Handle - 5" drop; Shoulder strap - 22" drop. Made of man-made leather in a soft toffee color trimmed with a warm chocolate brown, this lovely women satchel purse has a classic and comforting vibe that will go wonderfully with any outfit and any occasion. 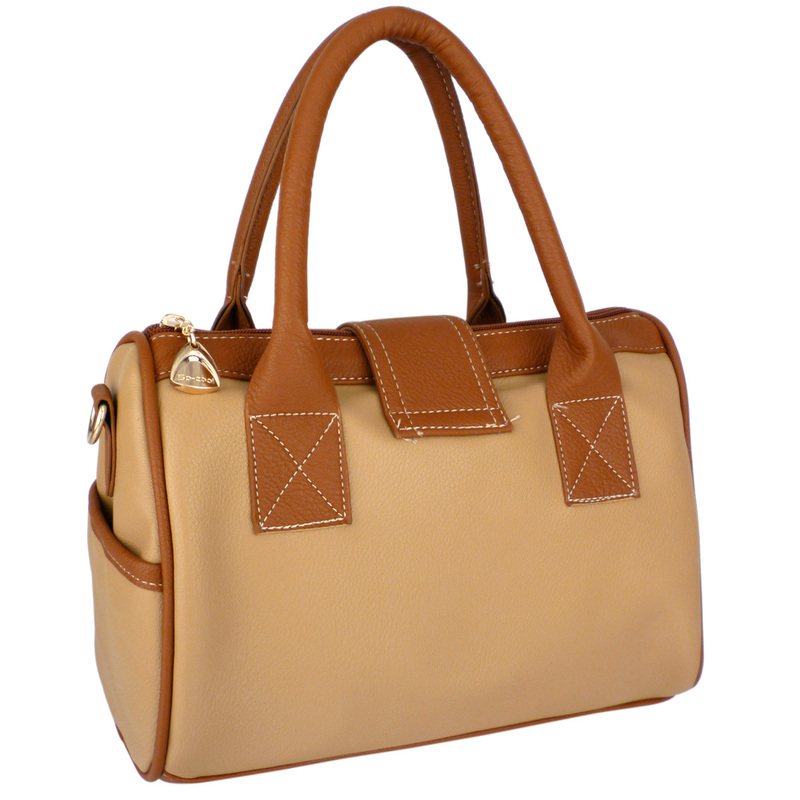 Keep your valuables safe, organized, and easy to find in this top handle handbag's spacious and beautifully lined interior, thanks to 2 pocket organizers, 1 zippered pouch, and the sturdy and dependable zippered top closure that can be counted on to keep everything safely inside your shopper shoulder bag. Wants to go hands-free, simply clip the detachable and adjustable shoulder strap onto this remarkable hobo bag, and you'll be free to travel in comfort and style. Whether you're headed off to work, into town, or around the world, this dependable and subtly stylish bowler is the perfect accessory to carry along.